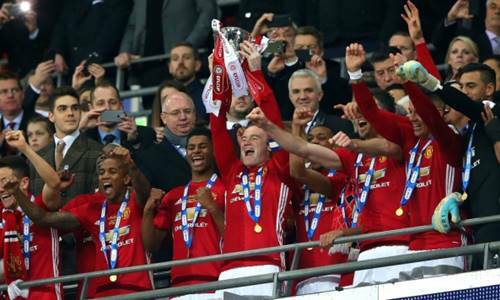 List of League Cup winners – EFL Cup or English Football League Cup is an annual knockout football in English football. Currenty this competition named as Carabao Cup for sponsorship reasons, but generally known as League Cup. It served as secondary knockout tournament in England beside FA Cup. To date, Liverpool become most trophies won by club in League Cup, while other big club in England also won this competition more than once. We will serve information about League Cup past winners from 1961 to present. First held in 1960-61, League Cup become on of three top-tier competition in England, alongside Premier League and FA Cup. In first years, this competition known as Football League Cup and since 2016 rebranded as EFL Cup, but commonly known as League Cup. Throughout its history, League Cup occurs many name changes for sponsorship reason, giving it the following names. Currently League Cup officially known as Carabao Cup. The tournament played in seven rounds and concludes in final round held at Wembley on February. Participating team come from top four levels of English football hierarchy, which are Premier League, Championship, League One and League Two. The winners of EFL Cup qualify to UEFA Europa League next season, if the winners not yet directly qualify to UEFA Champions League or Europa League based on their performance in Premir League. Winner of first League Cup edition in 1961 was Aston Villa. While the current holder of EFL Cup is Manchester City. They won it this season after beat Arsenal in 2018 edition final. Overall, Liverpool is the most success clubs in League Cup with 8 trophies won. Next best team are Manchester United, Aston Villa and Chelsea with 5 trophies won each. Other big club also won more than once such Tottenham (4), Manchester City (4) and Arsenal (2). So which other club join the list of League Cup winners each year from beginning to present day. Here are the complete table of EFL Cup winners list from Football League era to Carling Cup to Capital One and now in Carabao Cup era along with list of most succesful clubs in English League Cup history. That is the table list of League Cup winners to date with Liverpool recognized as the most succesful club in EFL Cup history with 8 trophies won. Meanwhile Manchester City is the current holder after won League Cup 2017-2018 this season.